Forget an apple – your child’s teacher deserves the whole Apple Tree!  Thank her for all she does and the impact she’s had on your child’s life this year by giving her a gift she will cherish. 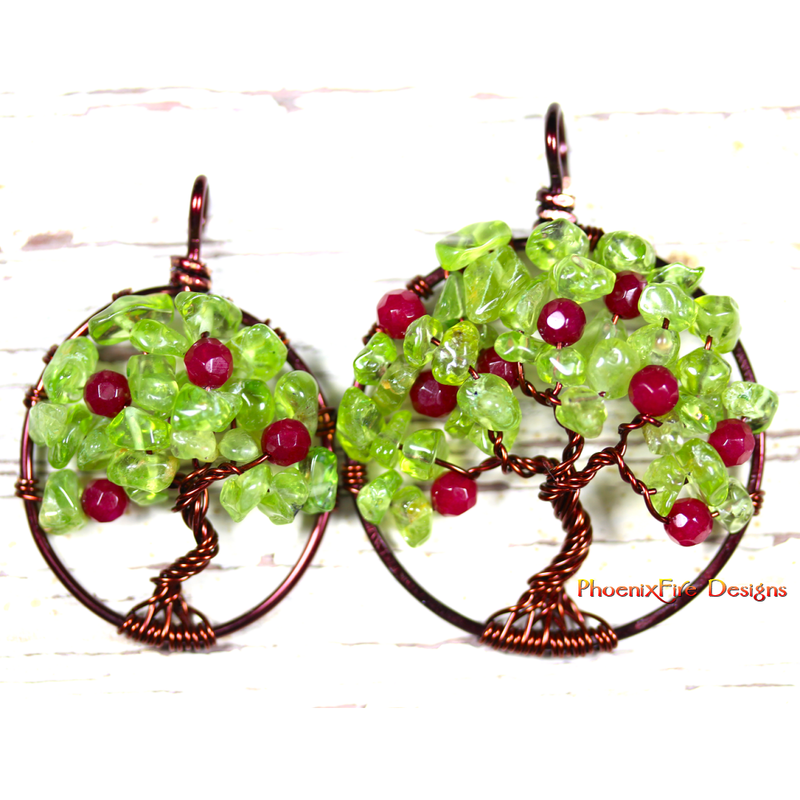 Handmade, wire wrapped jewelry, Apple Tree of Life pendant necklace in natural peridot gemstone leaves and ruby red jade apples. Available in brown wire (shown) or also silver wire wrapped by PhoenixFire Designs on etsy. Handmade with natural peridot gemstone and ruby red jade for apples, this PhoenixFire Designs pendant is available in two sizes and in your choice of brown wire (shown) or silver wire in the PhoenixFire Designs etsy shop.